Emma Taylor, IAS, writes about the hardships faced by those attempting to claim asylum in the UK. Virtually all countries agree that it is a universal human right to seek asylum across international borders if we feel unsafe to remain in – or return to – our home country. Persecution, war and conflict are just some of the reasons men, women and children are forced to appeal to another country for their safety. The UK government has a duty within international law to protect people who are too afraid to leave the country under a range of circumstances. For many, though, it is a struggle to secure this protection. 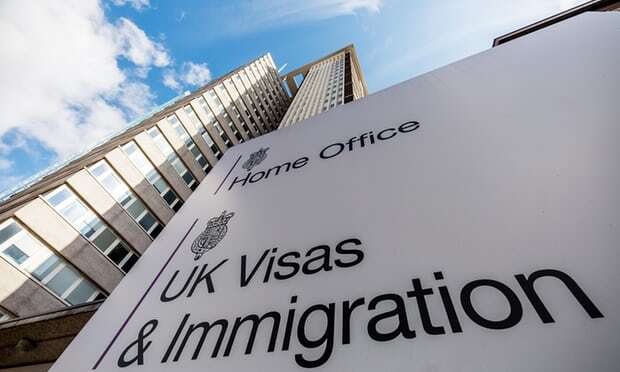 Those who claim asylum in the UK are allowed leave to remain here while they make a case of evidence to the Home Office about their worries and fears. The majority of claimants, who would be homeless and without recourse to funds otherwise, are housed and provided with a minimal income of just £37.75 a week. Asylum seekers are not allowed to work or access other benefits while their claim is considered. However, they are able to access the NHS and children are able to enrol in education. Some claimants are eligible to work after 12 months, although they are restricted to take a position listed on the UK Shortage Occupation List which numbers specialist surgeons, ballet dancers and neuroscientists among many, many other highly specialised and diverse vocations. This essentially bars the vast majority of asylum seekers from working, resulting in many living in limbo while their stories are heard and their claim is processed. Often struggling, asylum seekers are ‘othered’ and marginalised within UK communities. Asylum seekers fortunate enough to be granted Refugee Status by the Home Office will go through a life-changing process – although not without stress. Asylum seekers may have fled war, societal threats, political turmoil or perhaps even persecution from their own families. While in the UK, they are in an unfamiliar country, attempting to communicate in an unacquainted language and are ready to restart their lives again. Yet the process of securing a National Insurance Number, a bank account, finding a permanent home and accessing employment is far from easy – especially in such a tight turnaround: the weekly allowance the Government provides ends after 28 days once leave has been granted. Those who cannot rapidly bound back fall through the cracks. It is evident that the increasingly high hurdles asylum seekers face would put the mental health and resilience of any individual to the test. rejected, the asylum seeker either loses their right to remain or may appeal to the tribunal hearing. To do so, they must provide evidence that the Home Office did not understand or acknowledge their claim fully. Tribunals act independently to either reinforce or overturn the Home Office’s decision. Fortunately, asylum seekers’ rejected claims are increasingly becoming challenged with higher success rates: 75% of Home Office initial decisions were rejected by independent judges in 2018, which is a rise from the 52% in 2017. Although this shows appeal by Tribunal is improving for asylum seekers, the Government ought to be getting it right the first time. The data is clear: the ‘hostile environment’ the Government designed to deter migrants from coming to the UK is leading to many genuine claims being rejected. The process to claim asylum is complex – for many, it results in homelessness if they are not properly safeguarded. The Government must receive the appeal decision from a rejected person within 14 days. Unless there are dependent children involved, a new application for weekly allowance and temporary housing must then be made by the rejected applicant while their tribunal is awaited. If this complicated process is misunderstood, or delayed; or if grounds for appeal are not evidenced to satisfaction within the strict timescale, then many genuine claimants become unable to access the support they are entitled to. Many have become homeless, falling farther away from the means to scramble back to stability and entering a newly desperate state of destitution – all because they missed the 14-day turnaround. International human rights law protects those who are genuinely in fear for their lives, and it is also right that checks and balances exist to make sure this right is not exploited. The Home Office does have a difficult and sensitive task to do. Yet the numbers simply do not add up – the UK is clearly falling short in its duty of care to people who seek our help in good faith. No asylum seeker should fall homeless or destitute because of unfairly bureaucratic procedures, a ‘go home’ culture or a lack of support for individuals to understand the labyrinthine experience of claiming their right to safety. The cost of human misery, mental and emotional turmoil for asylum seekers is high enough. We must ask ourselves if a more compassionate approach is possible, and will certainly find, without having to look much further than our city streets, that the UK’s commitment towards protecting fellow human beings is sadly, woefully inadequate.